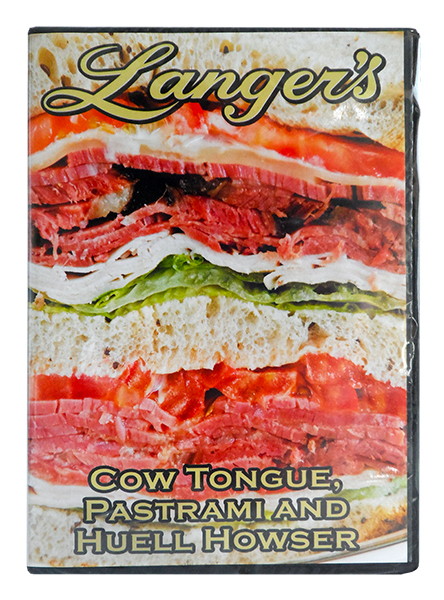 Take the delicious taste of Langer’s Deli with you wherever you go with these terrific gift items available direct from Langer’s Delicatessen-Restaurant. 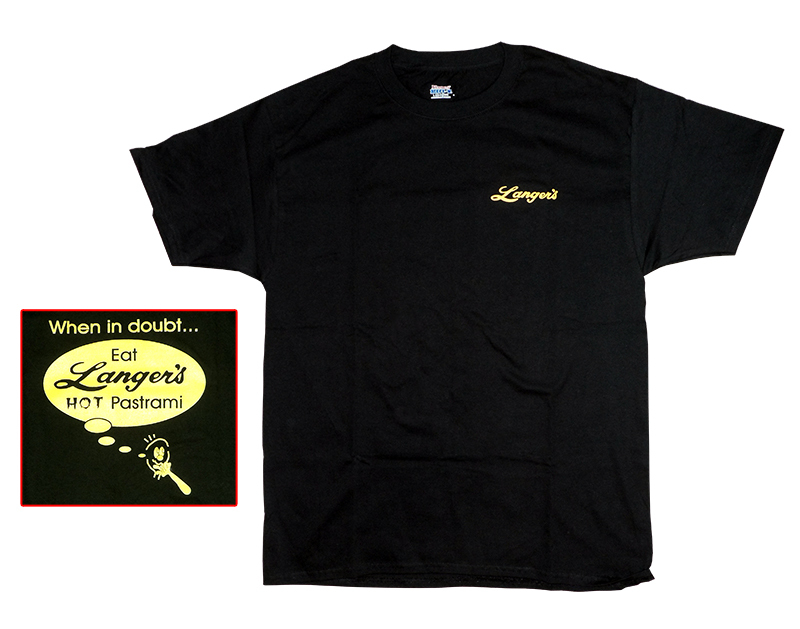 Langer’s makes a great gift – or something fun for yourself! Langer’s Gift Certificates – Perfect for Any Occasion! Langer’s Gift Certificates make the perfect gift for anyone who loves great deli food! Just call 213-483-8050 and speak with one of our hostesses. They will take your information and send out the certificate right away! Please note there is an additional $10 charge for USPS return receipt requested service, to ensure your gift certificate arrives safe and sound! Now you can wear the exact same hat as our counter people who make the world’s best pastrami for you! 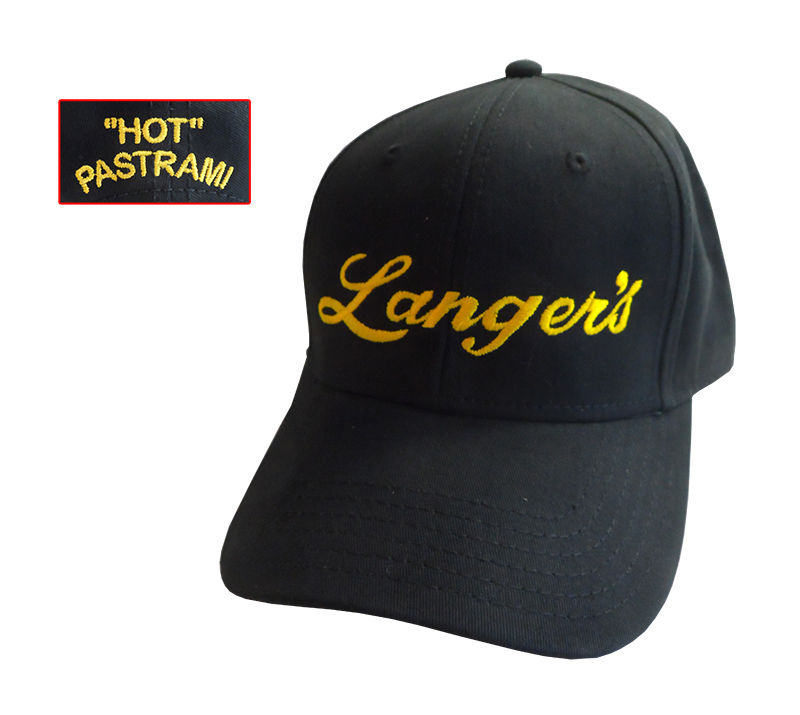 One size fits all, adjustable, with Langer’s script on the front and “Hot” Pastrami on the back. 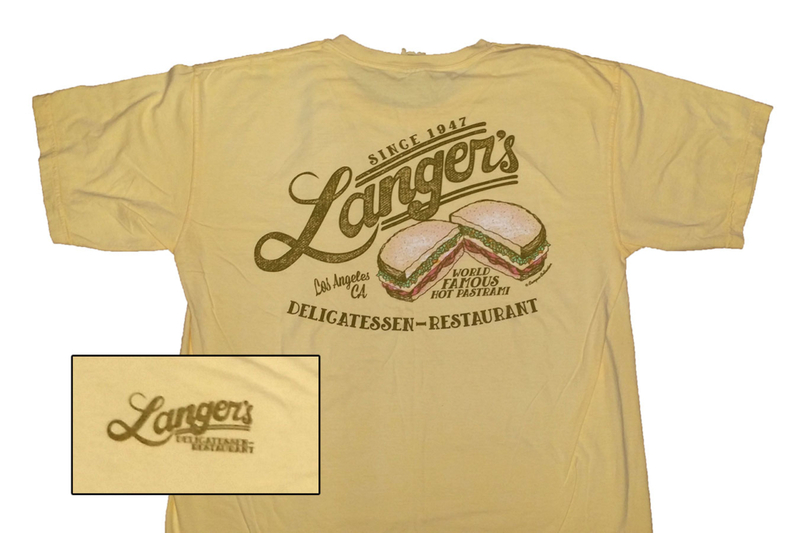 Our most popular shirt features our founder Al Langer’s favorite phrase: “When in doubt, eat Langer’s hot pastrami.” Quality materials and rugged silkscreening. Available in M, L and XL for $20 each; XXL is $22.50 each. Our newest shirt is amazing — featuring stunning artwork of our famous marquee, our manager Jaime hand-cutting hot pastrami, and our original #19 hot pastrami sandwich, all on the highest quality material and expertly printed. Everyone loves this shirt! 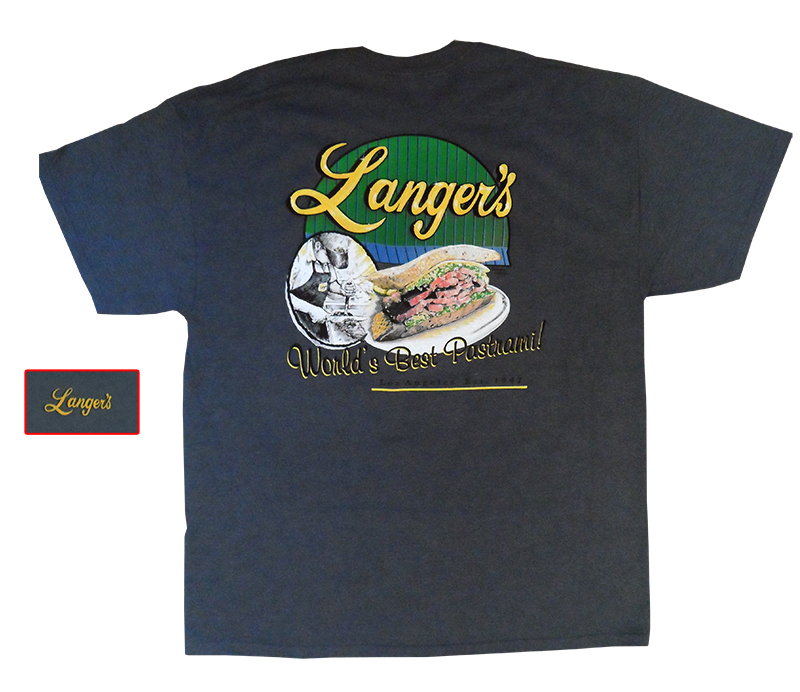 Everyone loves the Langer’s logo script t-shirt, with our classic logo and #19 sandwich on the back, all on the highest quality material and expertly printed. Get yours today! 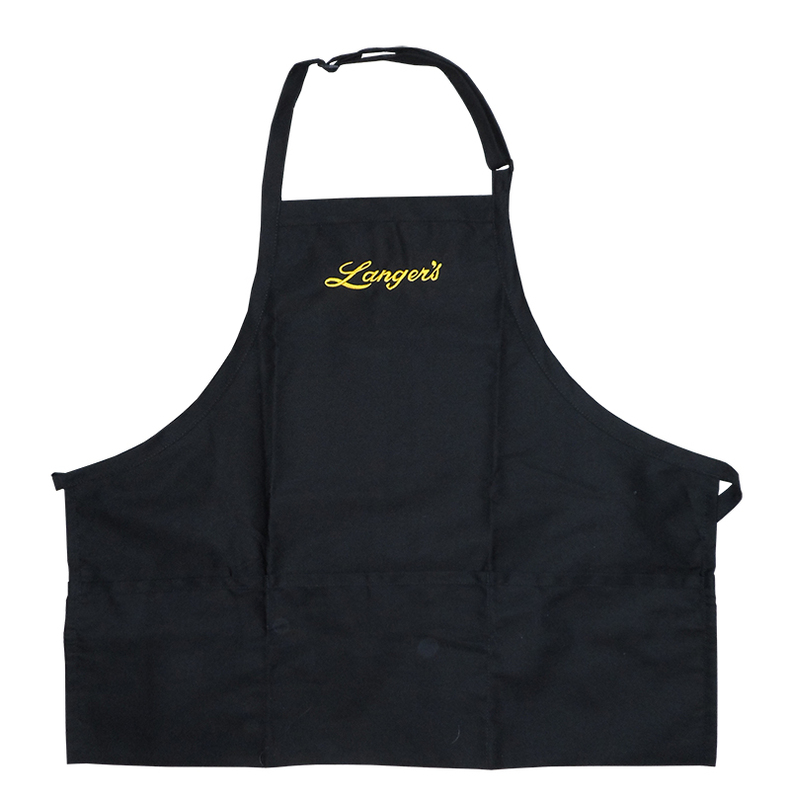 Here’s the most fashionable way to grill or cook at home – in a Langer’s apron! The very same design that you see our servers wearing, this apron is commercial quality and features the Langer’s script logo perfectly embroidered across the chest. Complete with pockets. We looked high and low to find the best mousepad manufacturer, so that we could bring you the best quality possible. 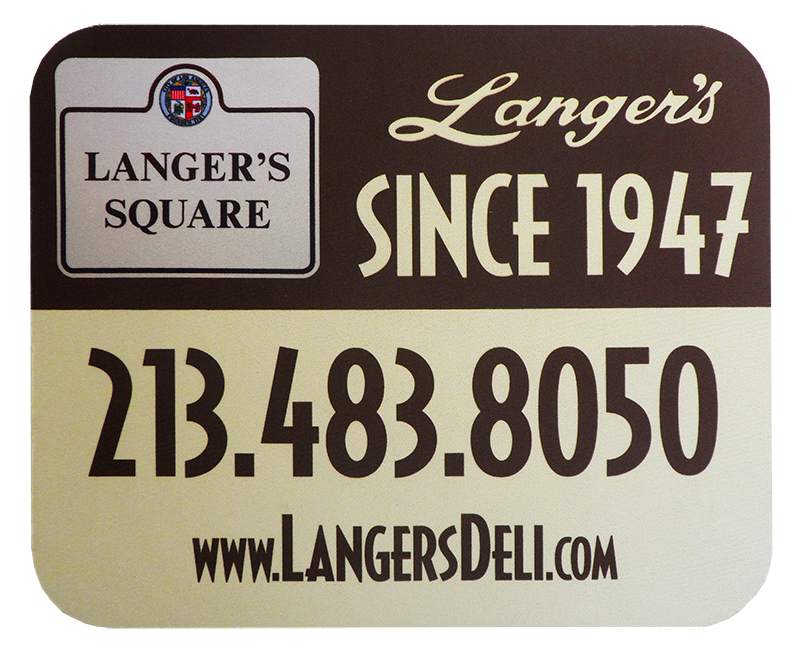 Our Langer’s mousepad features our “Langer’s Square” Historical District sign and is made from thick foam rubber – so comfortable! Add one to your computer today. We were so lucky and proud to have been featured not once but TWICE on Huell Howser’s public television program, “Visiting…with Huell Howser” in 2011. Huell Howser Productions created this DVD set just for us, featuring our “Cow Tongue” and “Pastrami” segments. As Huell would say, it’s amazing! 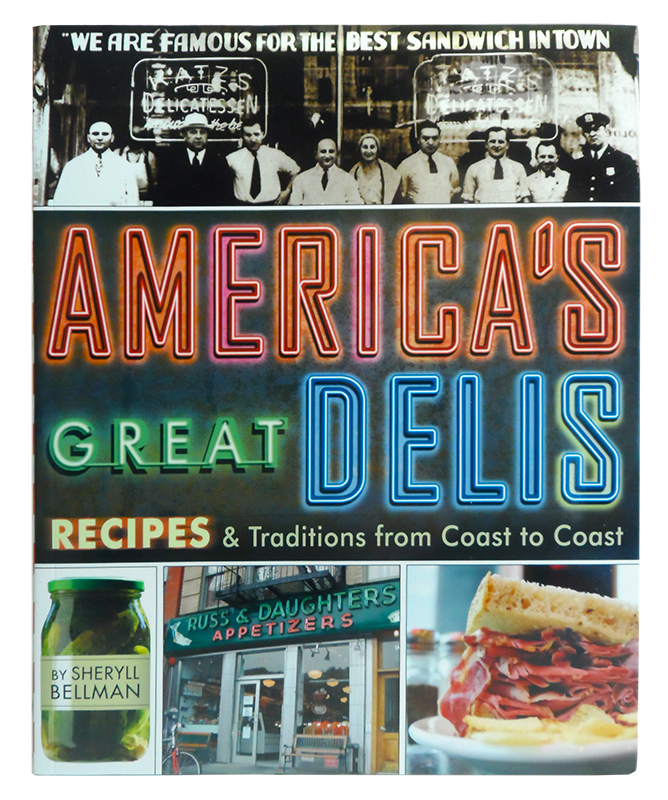 One of the best and most popular books ever published on deli culture, “America’s Great Delis” by Sheryll Bellman covers the history of the deli in all its forms, and even includes a section on Langer’s Deli. A must-have for any deli fan. 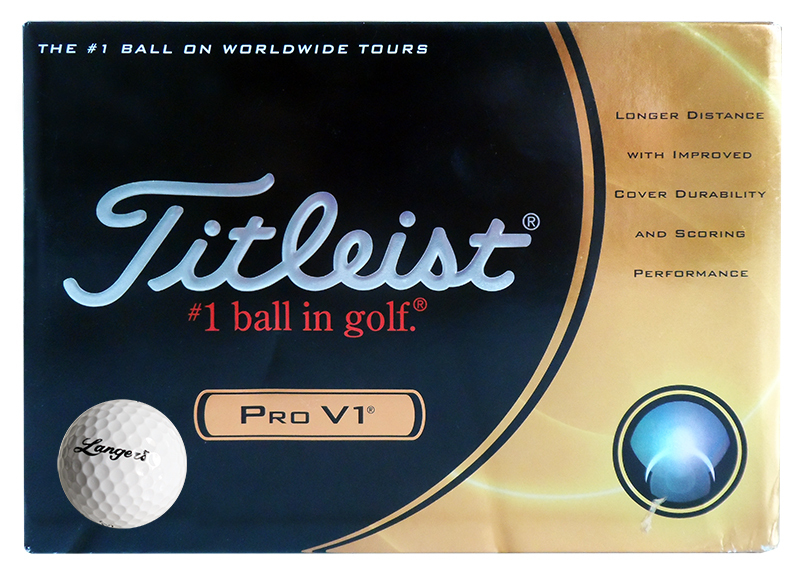 Play the world’s best golf ball — the Titleist Pro V1 — with the Langer’s logo right on it! It’s the very same ball that our owner Norm Langer plays. If you love Langer’s hot pastrami and you’re a golfer, this is the ball for you! 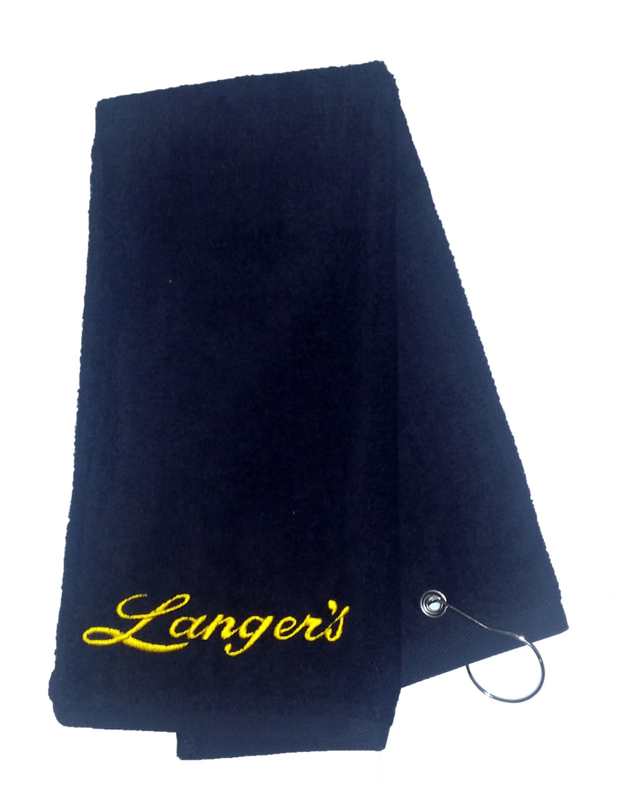 Hit the course in style with a Langer’s golf towel. Our classic logo is expertly embroidered into a rich terry-cloth towel, complete with eyelet for easy attaching to your golf bag.